Four former and current newspaper staff have been acquitted of corrupting public officials, a jury at Kingston Crown Court has ruled. Jurors continue to deliberate on outstanding charges. 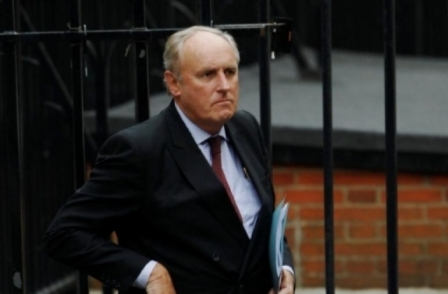 Picture editor John Edwards, ex-deputy news editor Ben O'Driscoll, former Sun managing editor Graham Dudman and former reporter John Troup (pictured:PA) were cleared after seven days' deliberations. There were sighs from the defendants as the foreman read the verdicts. Supporters in the public gallery wiped tears from their eyes while others hugged. The jurors will continue to consider verdicts for Sun head of news Chris Pharo and district reporter Jamie Pyatt. They will also consider outstanding charges against Dudman and O'Driscoll when they resume their deliberations next week. 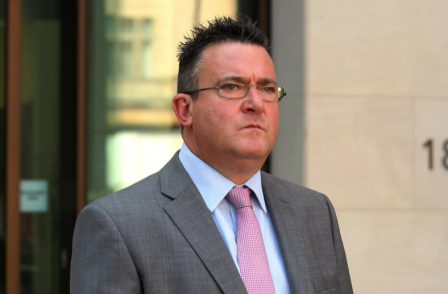 Edwards walked free from court, having been cleared of two counts of conspiring to commit misconduct in public office. Troup was cleared of the same charge. Dudman and O'Driscoll were each found not guilty of one similar charge. The charges relate to alleged backhanders to public officials on "a grand scale", prosecutors said. Stories were said to have involved details about the Yorkshire Ripper Peter Sutcliffe, pop star Mick Hucknall and murdered schoolgirl Milly Dowler. Information had been sold to the newspapers by public officials, including police and prison staff, the court heard. But lawyers for the defendants said they had been "fed to the wolves" by News International to protect its reputation in light of the phone-hacking scandal. Pharo, 45, of Sandhurst in Berkshire, faces three counts of conspiracy to commit misconduct in public office. Dudman, 51, of Brentwood in Essex; Pyatt, 51, of Windsor in Berkshire; and O'Driscoll, 38, also of Windsor, remain charged with two counts each of the same offence. The three-month trial, in front of judge Richard Marks QC, will resume on Monday morning.